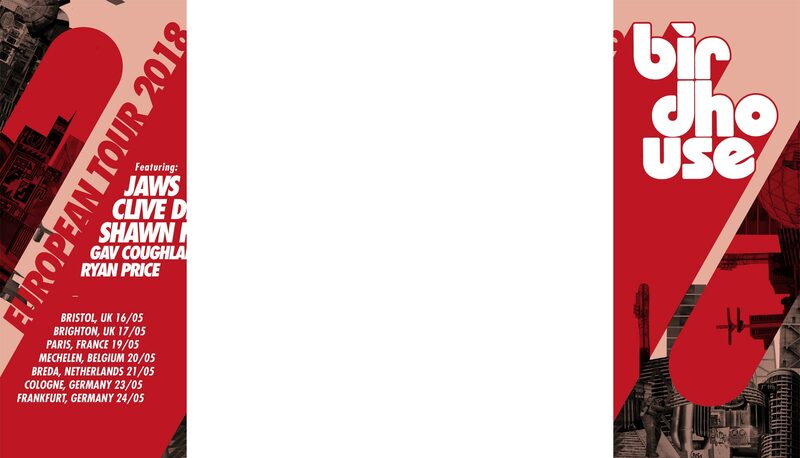 Birdhouse Skateboards European Tour 2018 — PIXELS – Skate videos, news, nonsense. 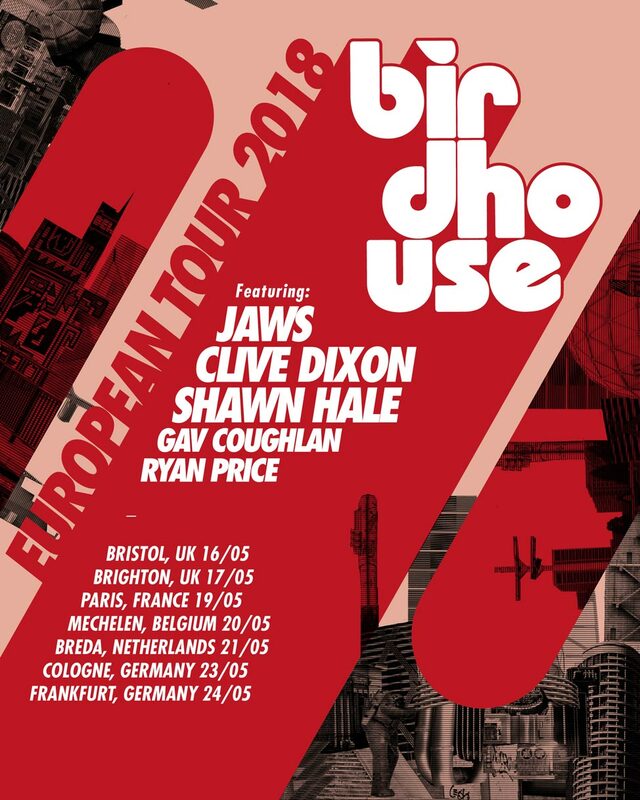 Aaron ‘Jaws’ Homoki, Clive Dixon and Shawn Hale are touring across Europe later this month with Euro riders Ryan Price and Gav Coughlan! The Birdhouse crew will be heading to Bristol, Brighton, Paris, Mechelen, Breda, Cologne and Frankfurt, you need to make sure you get to your nearest stop to watch the carnage that is sure to ensue. • Wed 16th May • Demo at Lloyds, Bristol (UK) with prizes for best tricks comp from 16:00 onwards, before heading over to Dean Lane for a sesh until sunset. • Thur 17th May • Shop appearance at Route One Store, Brighton (UK) from 15:00. Demo at Level Skatepark from 16:30 onwards. • Sun 20th May • Demo at Skatehouse, Mechelen (Belgium) from 15:00.